AL General Secretary Obaidul Quader on behalf of Prime Minister Sheikh Hasina receiving her nomination form on the first day of the distribution from AL Dhanmondi office on Friday. The ruling Awami League on Friday started selling of the party's nomination forms of 300 constituencies for the upcoming 11th parliamentary election to be held on December 23. 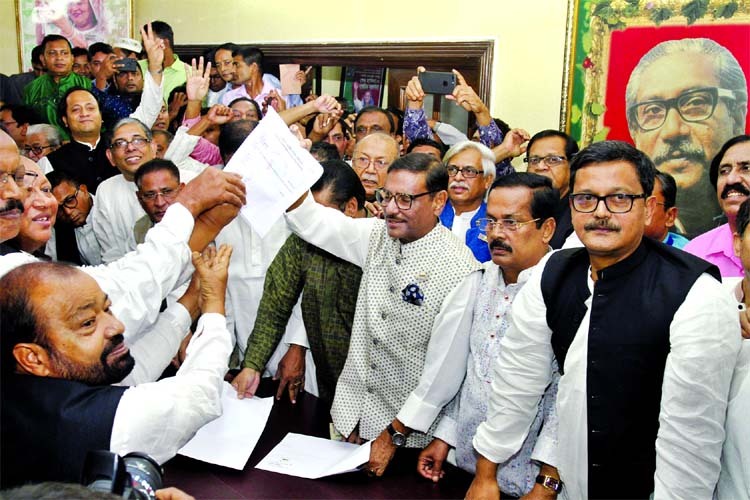 General Secretary of AL Obaidul Quader inaugurated the sale of the nomination form just a day after the Election Commission announced the election schedule. Obaidul Quader colleted nomination papers for Gopalganj-3 Constituency on behalf of Prime Minister Sheikh Hasina. Another nomination form has also been collected for Sheikh Hasina and the name of the constituency will be disclosed later, according to Obaidul Quader. Nomination form for Shirin Sharmin Chaudhury has been collected for Rangpur-6 Constituency and handed over to Deputy Speaker Fazle Rabbi Mia. Awami League Joint-General Secretary Mahbub-ul Alam Hanif received a form for General Secretary Obaidul Quader to contest from the Noakhali-5 Constituency. Â "The sale of our nomination forms has begun amid a lot of enthusiasm," said Quader, who inaugurated the sale at the AL President's Office and the party's election office in Dhanmondi. The AL nomination board led by the Prime Minister will hold a meeting at the party's central office in the Bangabandhu Avenue on November 11 to decide the deadline for selling forms, Quader said. Meanwhile, a good number of leaders and activists of Awami League from different constituencies crowded in and around the party office since Friday morning to collect nomination papers. They also carried banners and festoons with the pictures of the favourite candidates and chanted slogans in favour of them. The supporters of the candidates said that it would be good if the top leaders of the AL nominate the candidates for each constituency after observing their activities for party and general people. They also hoped that the party would take the right decision in this regard. 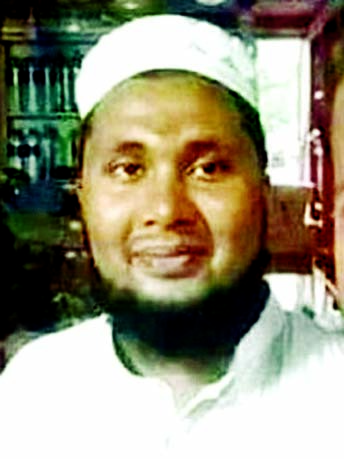 Rabby Hawlader, a supporter of Abul Kalam Azad Hawlader, who expects AL ticket for Bhola-2 Constituency, told The New Nation that his candidate would get the party's nomination. " My candidate (Abul Kalam Azad Hawlader) has been doing AL politics from his childhood. 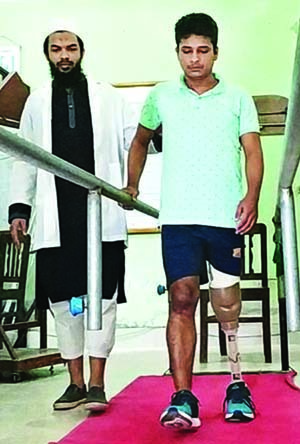 He deserves the AL ticket and he has a lot of popularity in his constituency," Rabby said. On the other hand, the office of Bangladesh Nationalist Party (BNP) at Gulshan is silent. There was no crowd and no political activities. Visiting the BNP's Gulshan Party Office, this reporter saw no leaders and no activists in front of the office. According to the Election Commission, the 11th Parliamentary election will be held on December 23. The last date of filing nomination papers is November 19. The returning officers will scrutinise the nomination papers on November 22, while the last date for withdrawing candidacy is November 29.